Otani would have been a force on the mound. He posted a 1.86 ERA with 174 strikeouts in 140 innings last year, and broke his own record for the fastest pitch in Nippon Professional Baseball history with a 102-mph fastball in his first start back after two months away with a bad blister. But Otani’s ankle, like the blister, won’t necessarily keep him from contributing. During those two months away from starting, Otani served as the Fighters’ DH, and there’s a chance he’ll do so again in the WBC, bringing his power to the tournament. Twenty-two-year-old Otani broke out offensively this past year, posting .322/.416/.588 in 323 at-bats with 22 home runs. His previous season high was 10 homers in 2014, when he was 19. Hopefully Otani can bring his strong slams to the international stage at the WBC, since the new collective bargaining agreement will likely keep him out of Major League Baseball for another couple years. 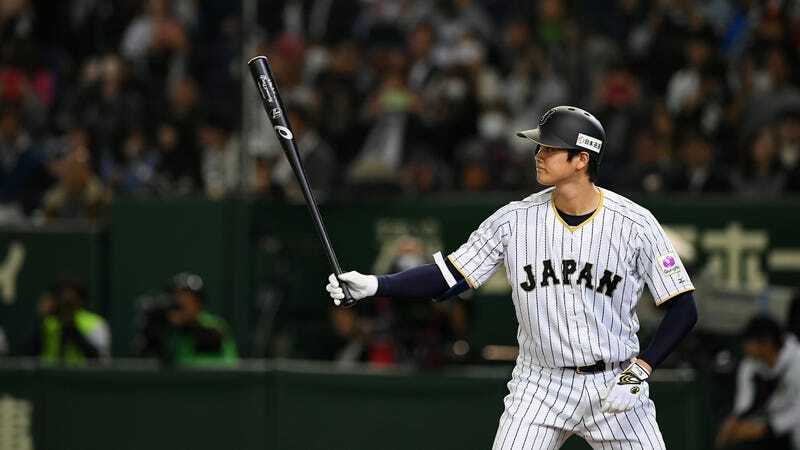 He has said that he would like to come to the United States for the 2018 season, but the new hard cap on international spending means that unless Otani waits until he’s 25, even teams that blow their entire budget on him could be vastly underpaying for his talent.